Do you want to contribute directly to some great ecosystem climate adaptation work happening in Cowichan Valley? 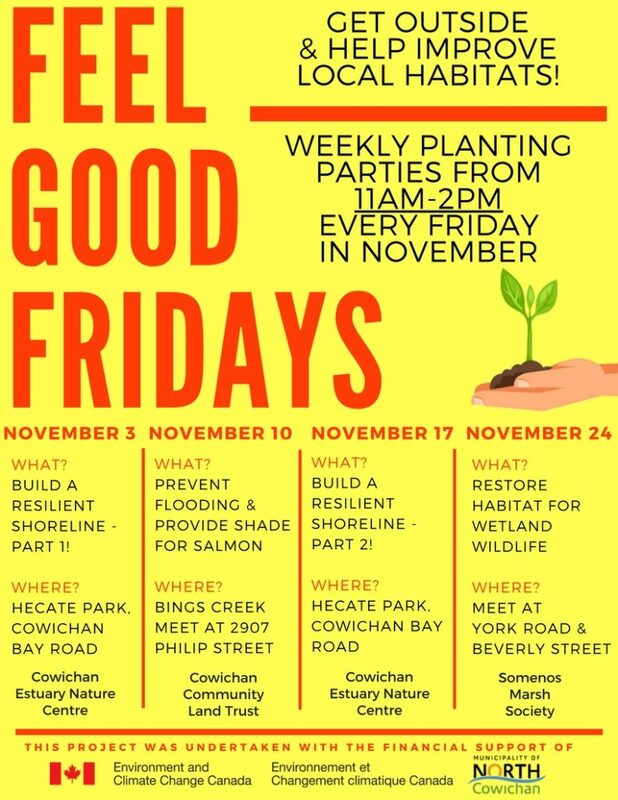 This November, join the Cowichan Estuary Nature Centre, Somenos Marsh Society, and the Cowichan Land Trust for FOUR Fridays of hands-on habitat restoration! All events are 11am-2pm and include treats! 🙂 Please bring work gloves if you have them, wear waterproof boots and dress for the weather.